55+ communities in Central North Carolina are very popular among Baby Boomers. Active adult homebuyers enjoy the region s mild, yet four-season climate as well as the area s attractions, recreational opportunities, and culture. There are so many options for active adult communities in Central North Carolina with many new and resale residences. Whether you re looking for an age-restricted community in Central North Carolina or an all ages community with resort-style amenities and low-maintenance homes, there are a wide variety of home sizes and styles from which to choose. Active adult homebuyers can select a new or resale home from communities that have over 1,200 homes to smaller tight-knit 100-home neighborhoods. The Piedmont plateau forms the Piedmont region of Central North Carolina. This hilly region contains the state s largest cities. Central North Carolina 55+ neighborhoods can be found throughout the Charlotte, Raleigh-Durham, Greensboro, and Winston-Salem areas. Elevations throughout these areas range from 300 feet to 1,100 feet above sea level. Central North Carolina also has many forests. Active adult communities in Central North Carolina are located in a region that experiences slightly hotter summers and cooler winters than the coastal region. Also, it is not uncommon for winter highs to exceed 50 degrees in Central North Carolina. Residents of active adult communities in Central North Carolina enjoy living near some of the state s largest cities. From fine dining and food trucks, nightlife and live music, to shopping malls and chic boutiques, active retirement communities near Central North Carolina s cities enjoy a wide array of entertainment options. Charlotte is home to art museums and galleries like the Billy Graham Library, Daniel Stowe Botanical Garden, Bechtler Museum of Art, and more. Charlotte is also home to racing attractions like the Charlotte Motor Speedway, Concord Speedway, Curb Motorsports Museum, NASCAR Hall of Fame, North Carolina Auto Racing Hall of Fame, Memory Lane Motorsports and Historical Automotive Museum, NASCAR Tours, and so much more. 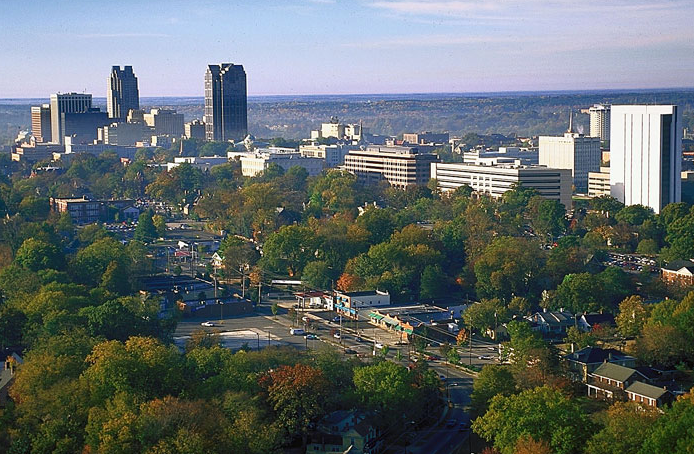 Raleigh, the capital state of North Carolina, is one-third of the The Triangle the other two cities include Durham and Chapel Hill. Raleigh is rich with history with world-class museums and more than 40 free attractions. Popular attractions here include the North Carolina Museum of Art and the state s only non-collection Contemporary Art Museum (CAM Raleigh). Whether you re cheering on the Carolina Hurricanes (NHL), the NC State Wolfpack, or enjoying the area s golf courses, sports enthusiasts will never run out of amusement. Chapel Hill is a university town and is home to UNC-Chapel Hill. It s quickly becoming a popular destination for American cuisine with tons of culinary opportunities. Durham, as well, is brimming with festivals, nightlife, science museums, and more that welcomes 7.8 million visitors every year. The Triad cities of Greensboro, Winston-Salem, and High Point are also rich with history and boast the state s best wineries. The area is home to SciWorks, a 25,000 square-foot exhibit with a 119-seat planetarium, 15-acre outdoor environmental park and numerous science and health exhibits. Historical attractions like the Museum of early Southern Decorative Arts, Bethabara Historic District, Old Salem, and Reynolda House Museum of American Art are popular with Central North Carolina retirees. While there are an abundance of big-city entertainment options throughout Central North Carolina, the area also provides tons of options for outdoor adventurers. Uwharrie National Forest lets active adults enjoy the great outdoors and Lake Norman offers a variety of water sports like boating and fishing. The North Carolina Zoo and All-A-Flutter Butterfly Farm are great places to entertain family and grandchildren while enjoying Central North Carolina s mild weather. North Carolina taxes are less of a burden to its residents compared to the rest of the nation. In 2013 a major tax reform included many benefits for retirees. It lowered income tax rates to a flat rate of 5.8% in 2014, 5.75% in 2015, and further rate reductions are possible in coming years. It also abolished the state s estate tax and continued to exempt Social Security income. Active adult communities in Central North Carolina are located near some of the nation s top-ranked hospitals. This includes Duke University Medical Center in Durham, Wake Forest Baptist Medical Center in Winston-Salem, University of North Carolina Hospital in Chapel Hill, and Duke Regional Hospital. Other high-performing hospitals include Moses H. Cone Memorial Hospital in Greensboro, Novant Health Presbyterian Medical Center in Charlotte, and WakeMed Health in Raleigh.